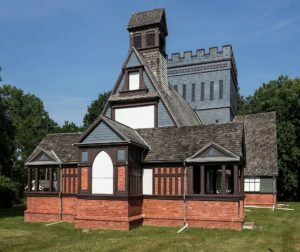 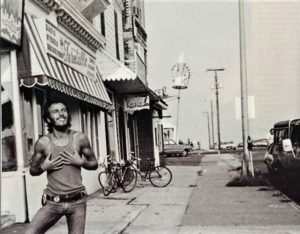 This page is dedicated to Tom Booth of Long Branch (1951-2019). 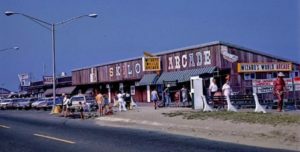 They call it “the Friendly City” and it has been a major part of my life. Over the years I’ve lived there and worked there, shopped there and dined there, and have friends and family there. 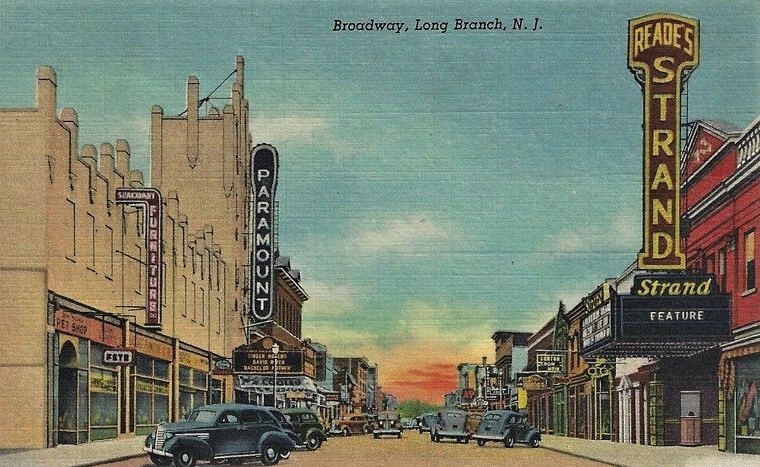 Long Branch is a city rich in history. 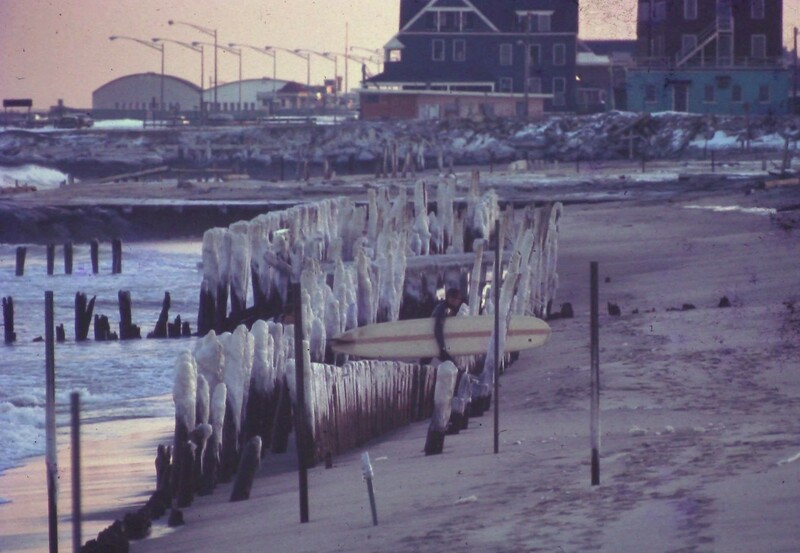 As a place offering shore sun and fun it’s had few peers. 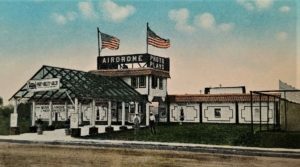 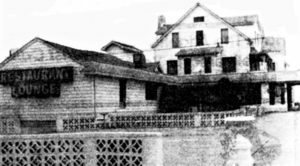 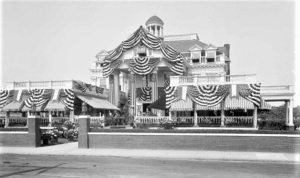 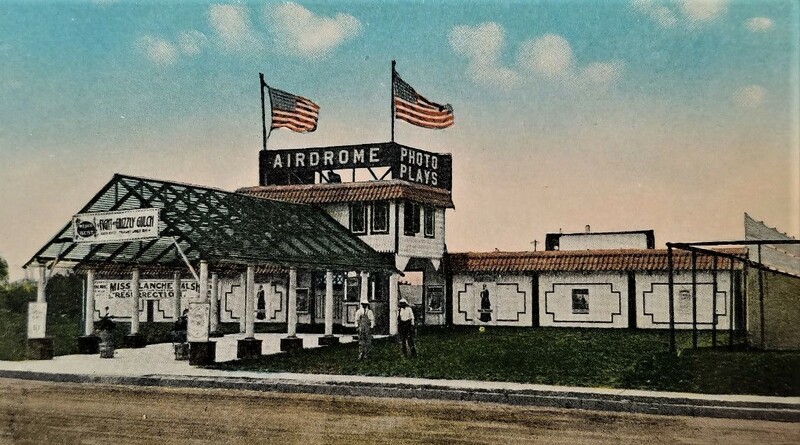 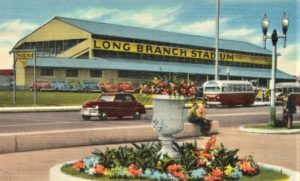 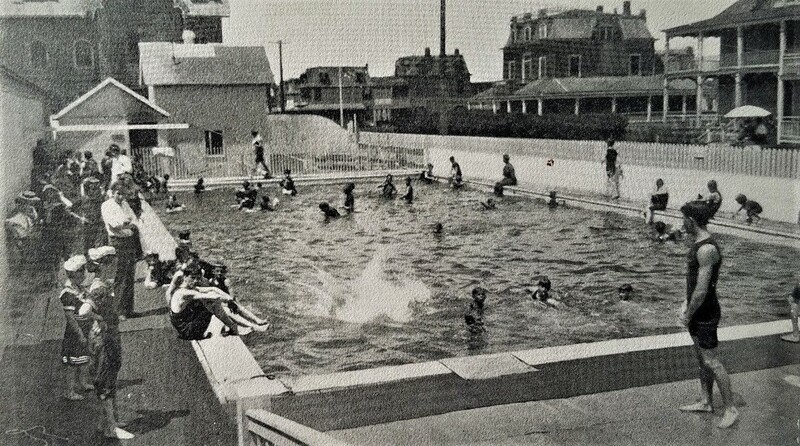 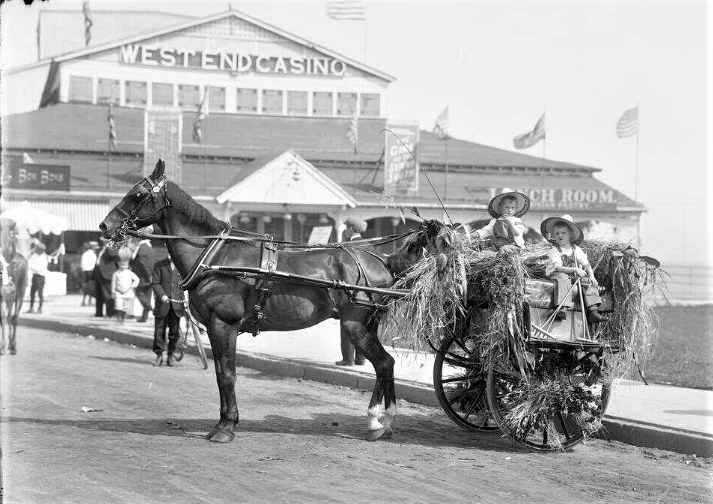 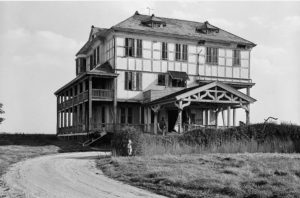 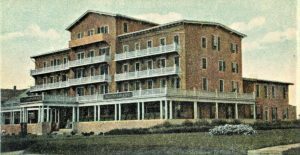 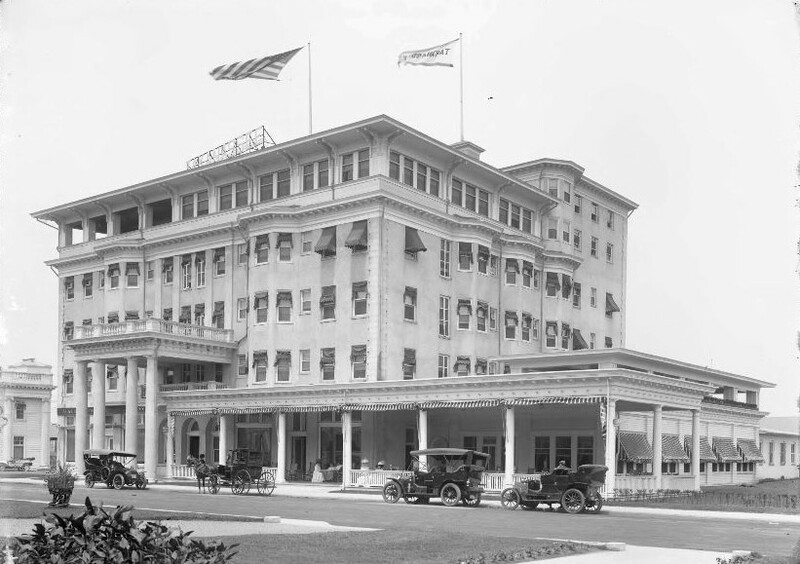 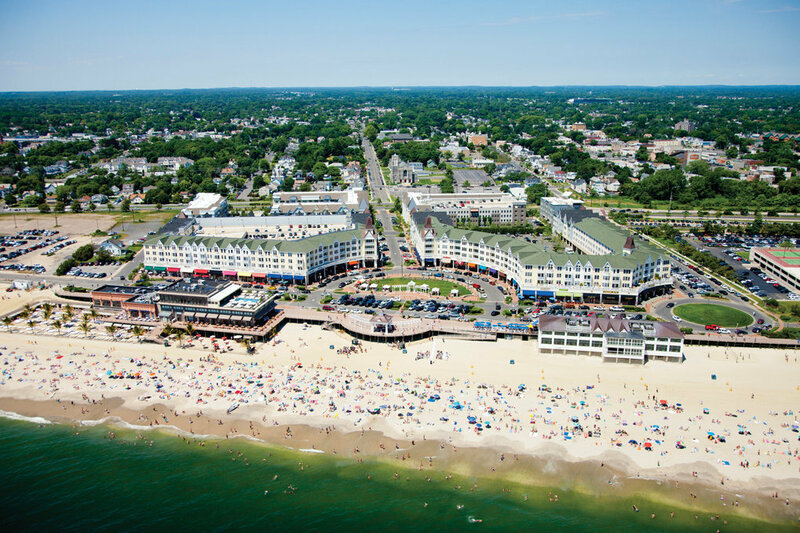 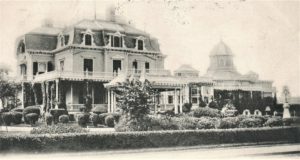 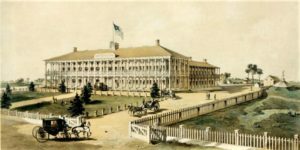 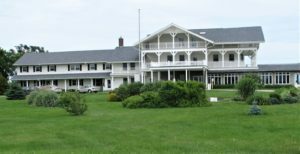 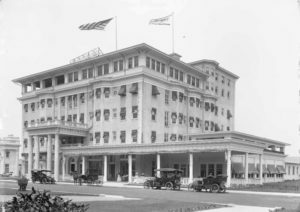 According to the 1940 book Entertaining a Nation, Long Branch became a national resort hot spot with the visit of First Lady Mary Lincoln in August 1861. 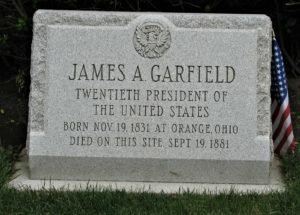 President Garfield monument in Elberon, 2005. 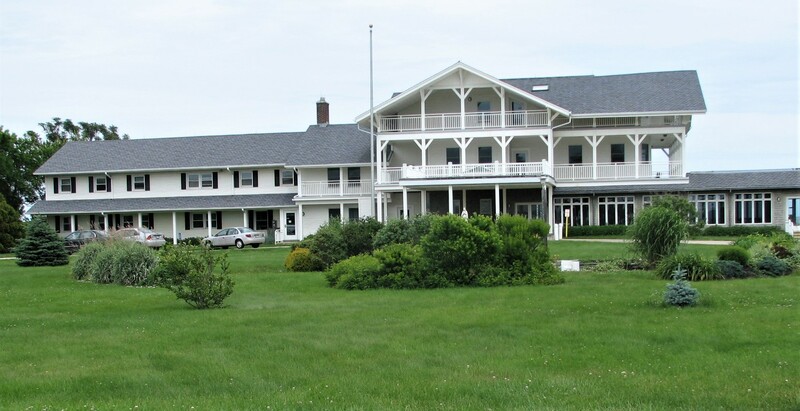 Stella Maris retreat house on Ocean Avenue, 2009. 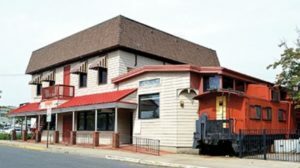 Old U.S. Life-Saving Station in West End, 2009. 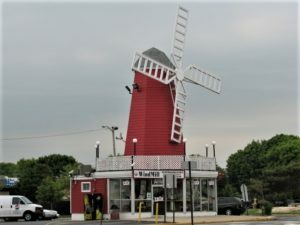 The Windmill in West End, 2009. 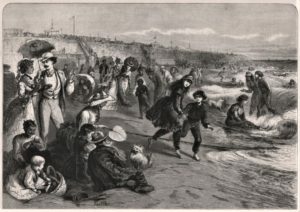 Long Branch beach scene, 1875. 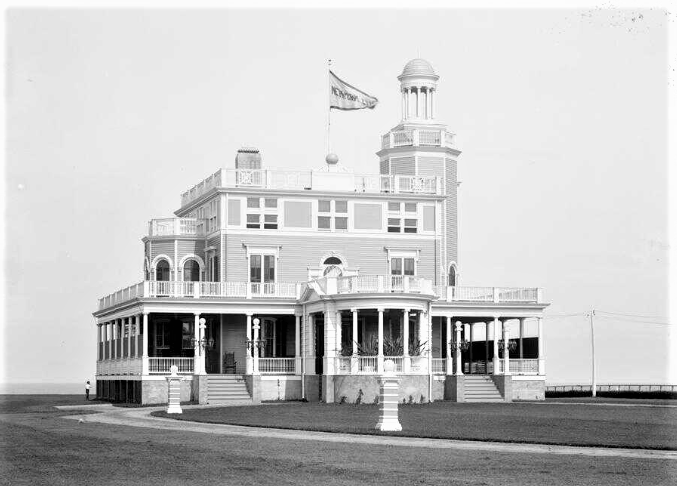 Ocean House Hotel, early 1960s. 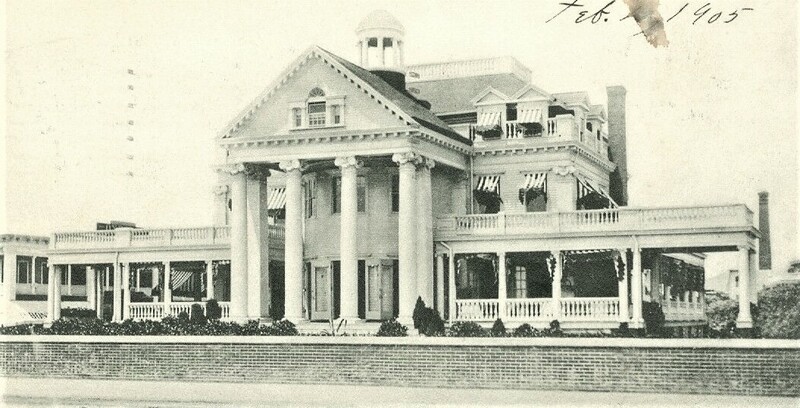 Phil Daly’s Club House, 1905. 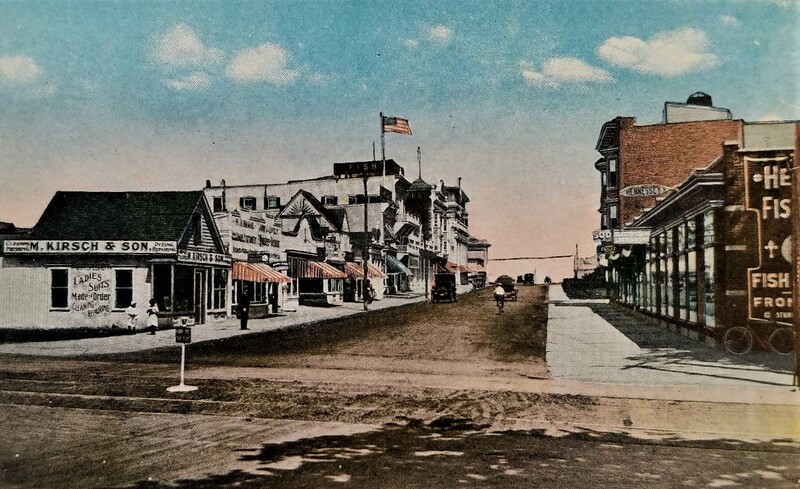 Ocean Avenue in West End, 1910. 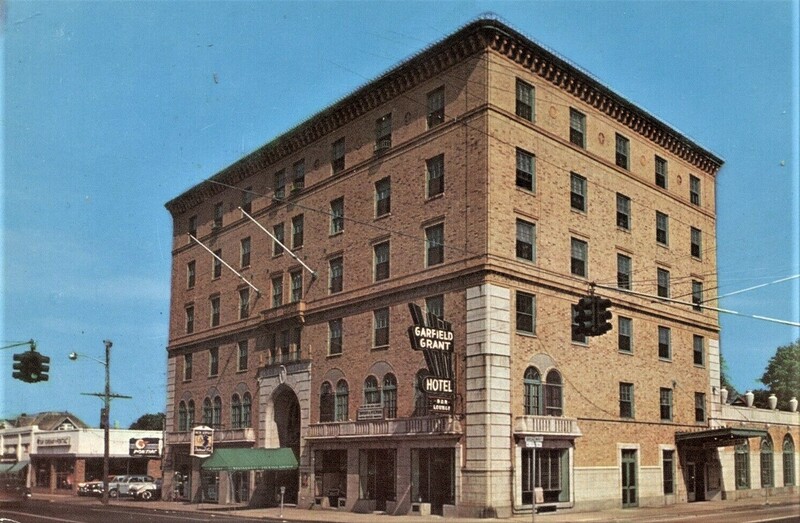 Garfield Grant Hotel on Broadway, 1958. Barron & Jarmon auto dealers on Broadway, 1940s. 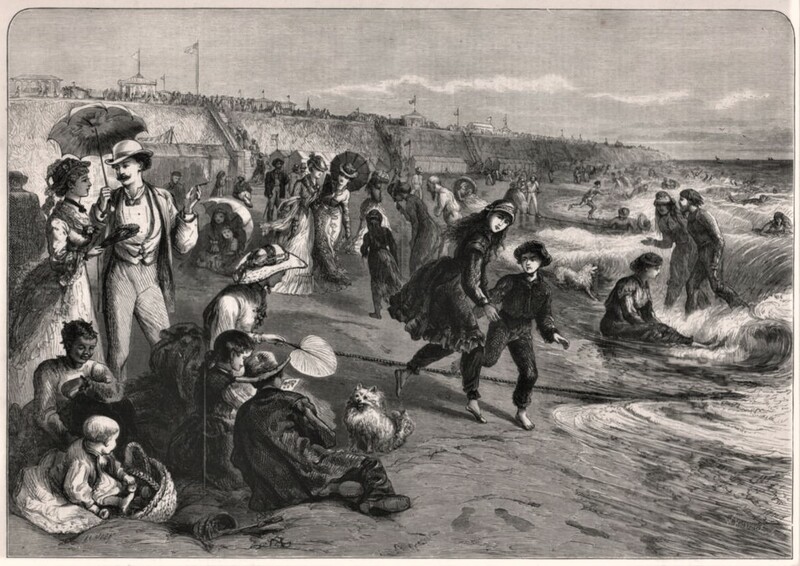 Harper’s Weekly image of Long Branch coast, August 1873. 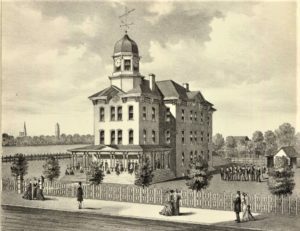 Long Branch Graded School, 1878. 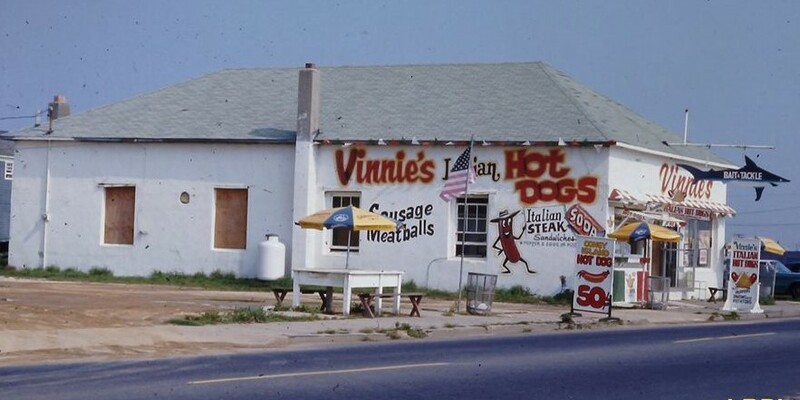 Yvonne’s Rhapsody in Blue and Rendezvous Lounge, early 1970s. 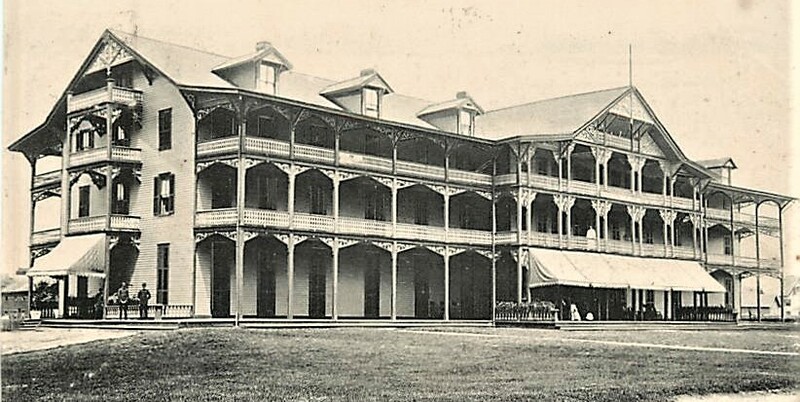 San Alfonso Retreat House, early 1900s. 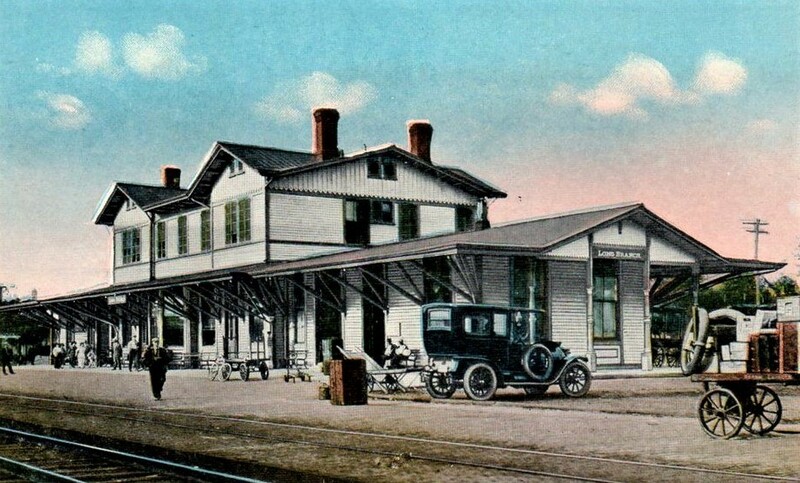 Old Elberon Train Station, 1904. 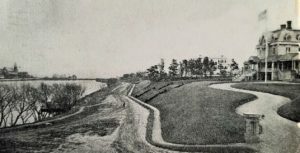 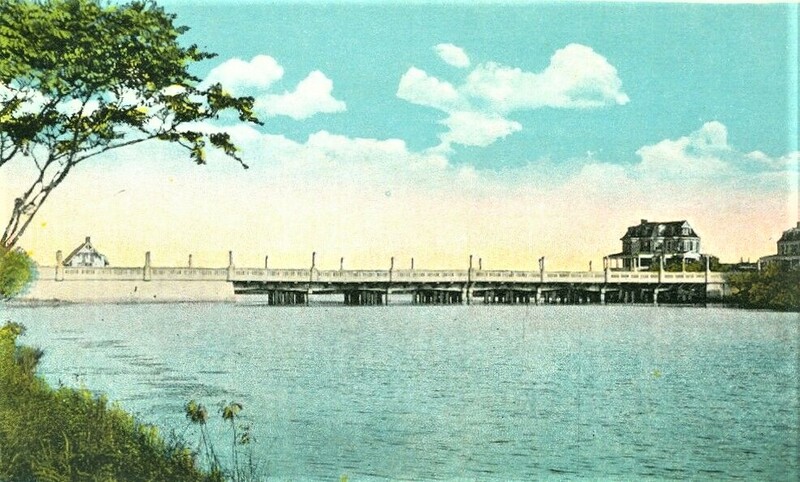 West End Shore Club, 1910. 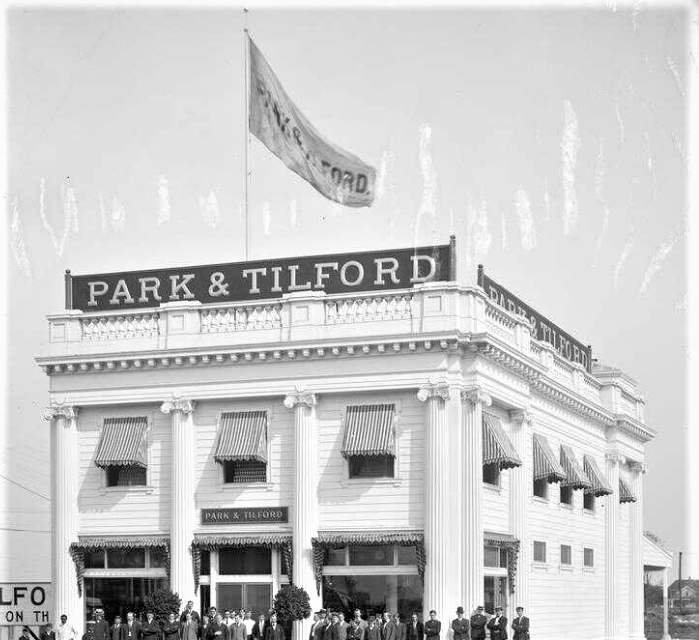 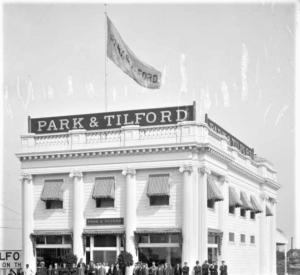 Park & Tilford store on Brighton Avenue, 1905. 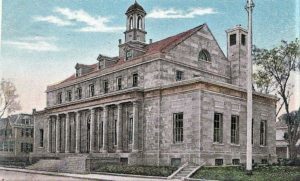 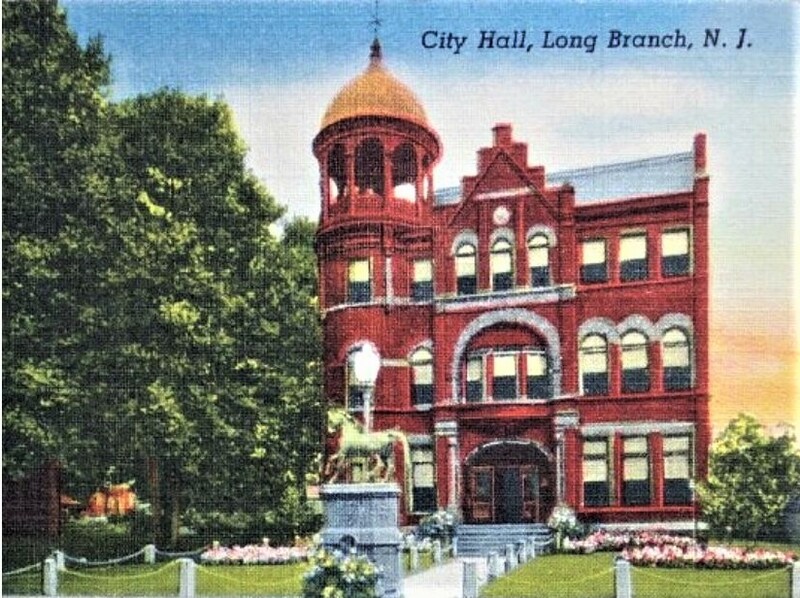 Old LB City Hall on Broadway, 1905. 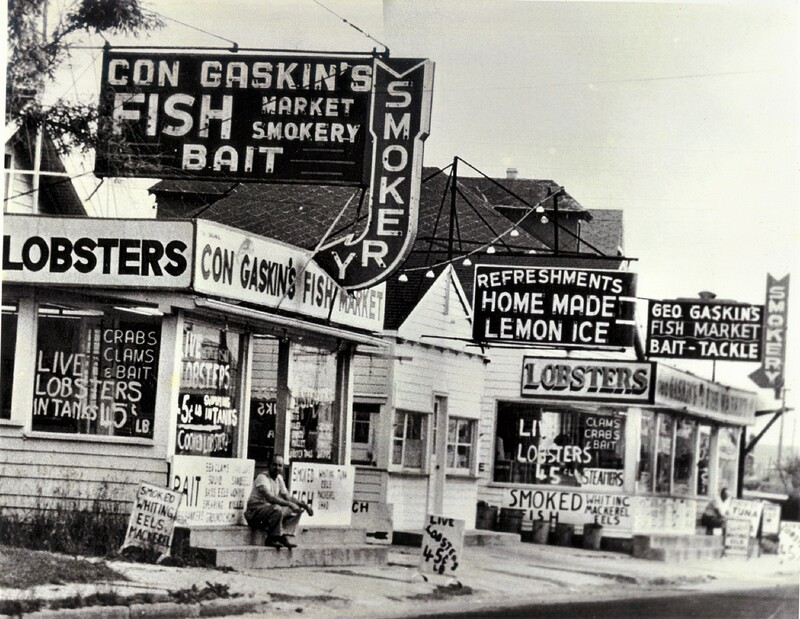 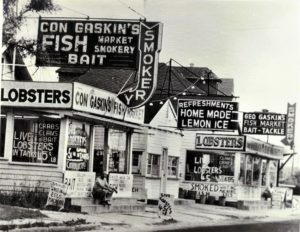 Gaskin’s Seafood Market in North LB, 1960s. 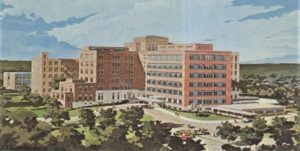 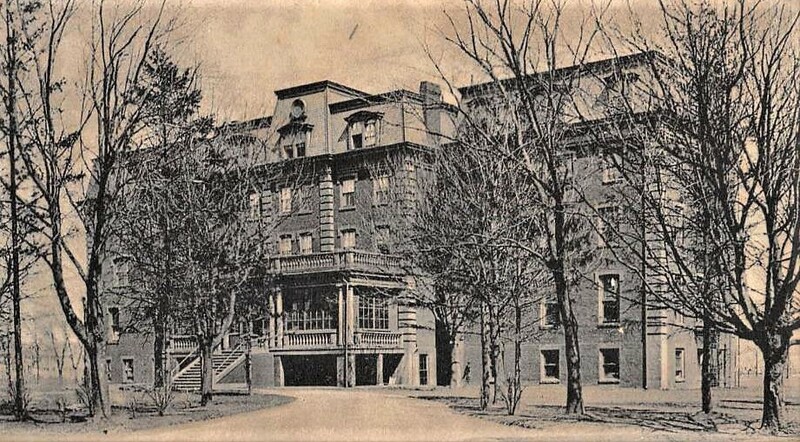 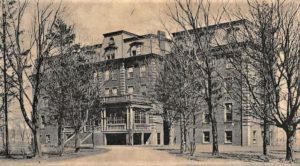 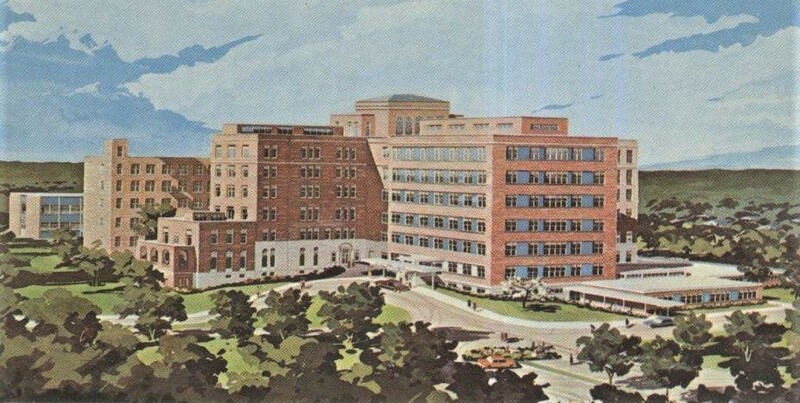 Monmouth Memorial Hospital, early 1900s. 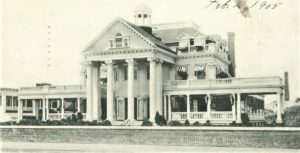 Star of the Sea Lyceum, early 1900s. Long Branch Post Office, 1920s. 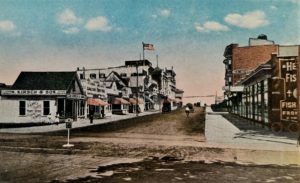 Ocean Avenue in North Long Branch, early 1900s. 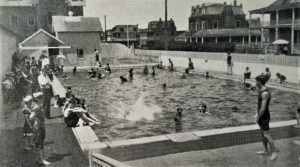 Crammer’s Pavilion swimming pool, 1907. 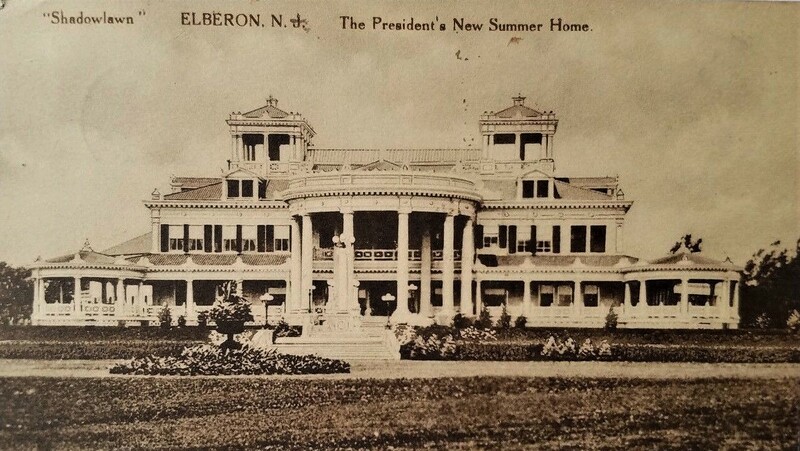 “Shadow Lawn” in Elberon, 1912. 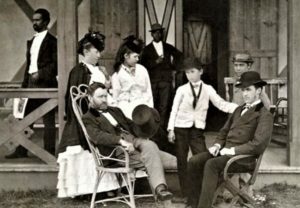 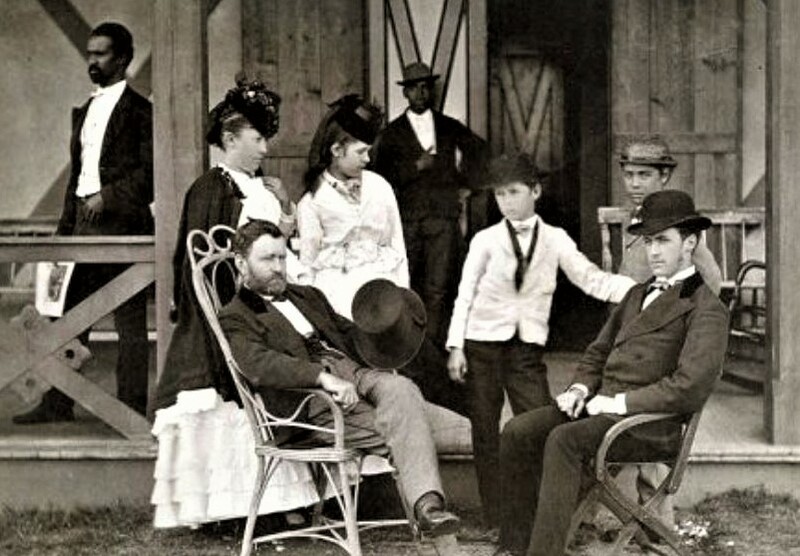 President Grant with family and staff at Long Branch, 1870s. 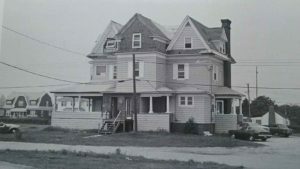 Dr. Sheehan’s house at The Reservation, 1970s. 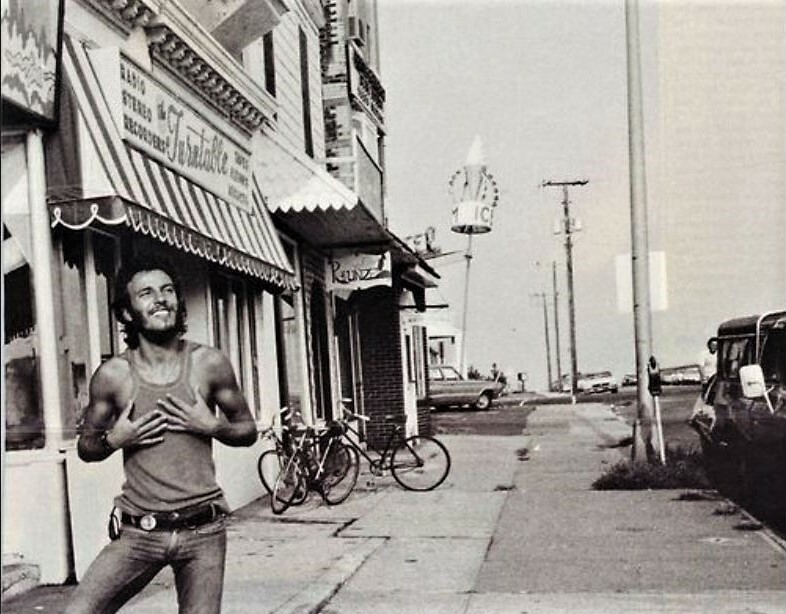 Bruce Springsteen in West End, 1970s. 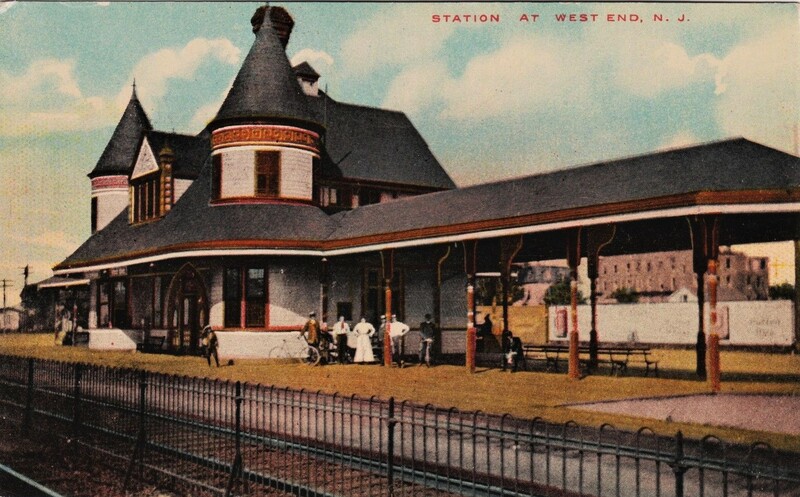 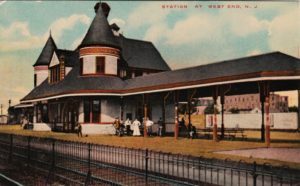 Long Branch train station in West End, late 1900s. 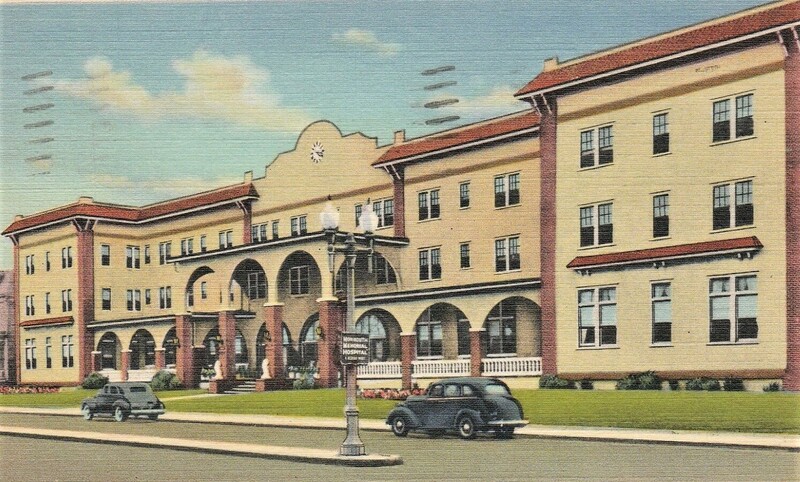 Long Branch train station, late 1900s. 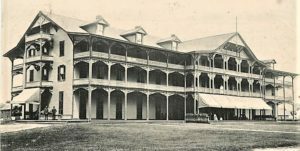 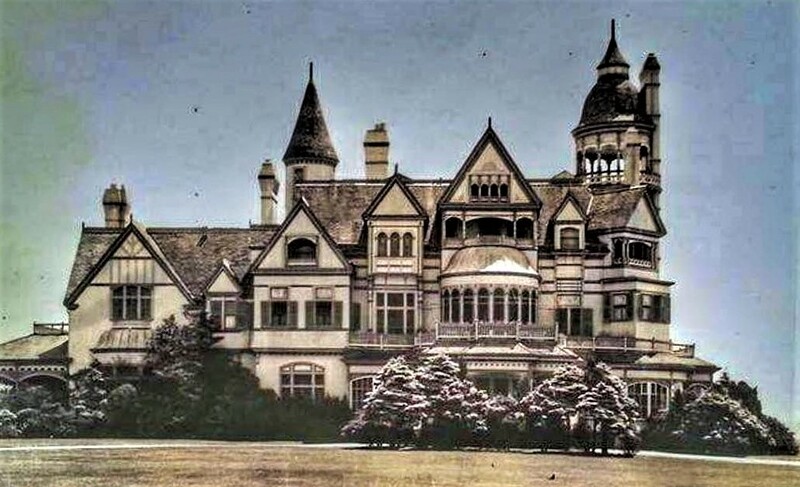 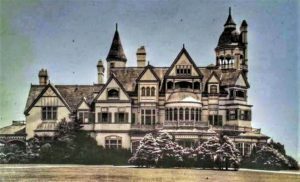 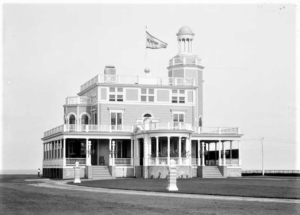 Mansion Hotel along the ocean, late 1800s. 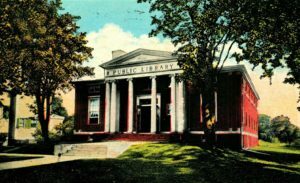 Long Branch Public Library, 1940s. 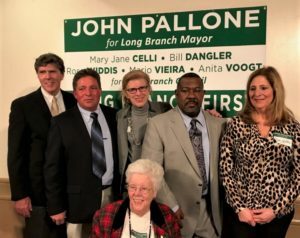 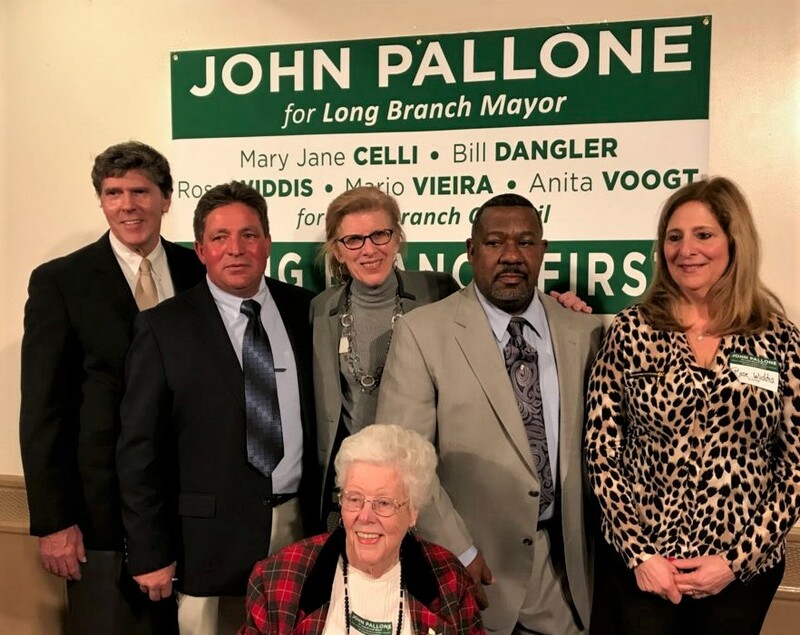 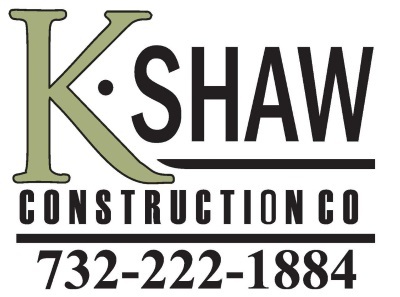 New Long Branch Mayor and City Council, 2019. Oliver Byron house near MB-LB border, 1905. 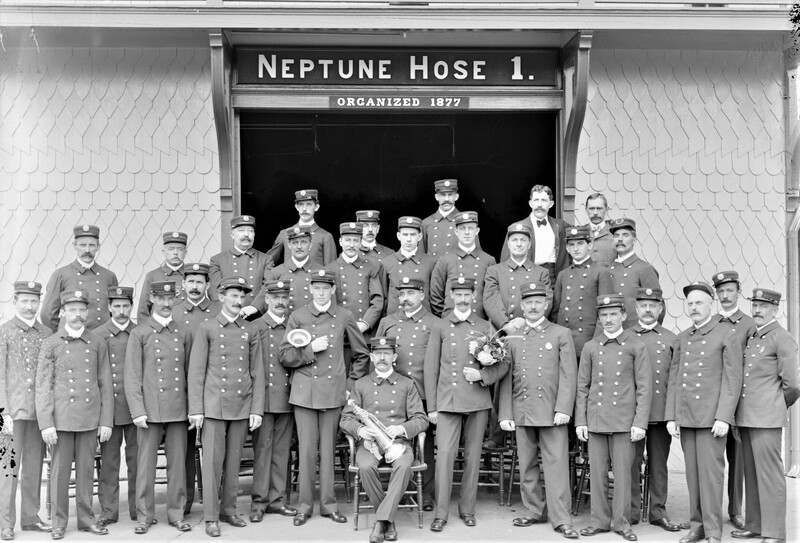 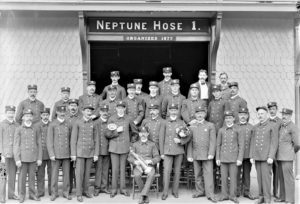 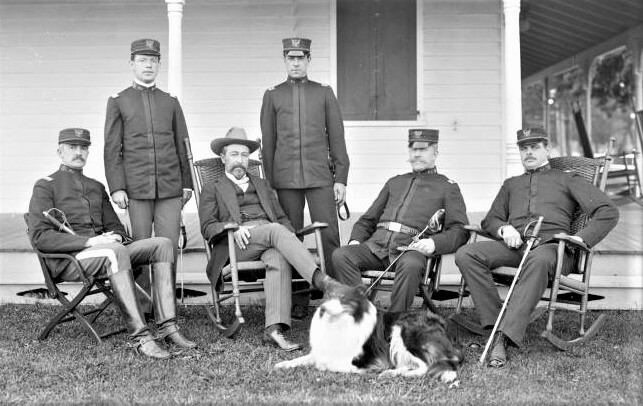 NJ Governor Franklin Murphy and staff in LB, 1905. 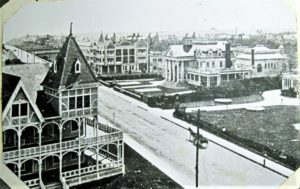 Ocean Park at corner of Broadway and Ocean Avenue, 1905. 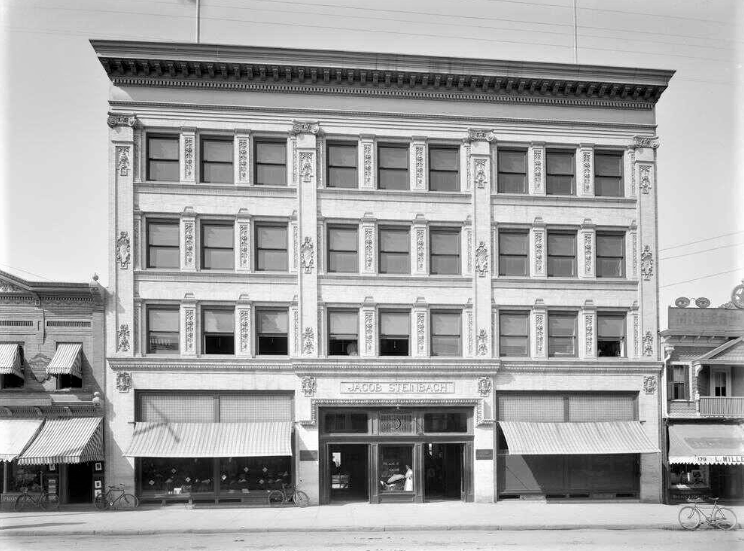 Steinbach’s department store on Broadway, 1905. 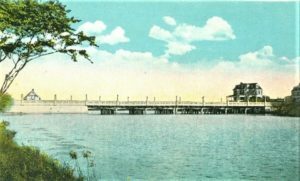 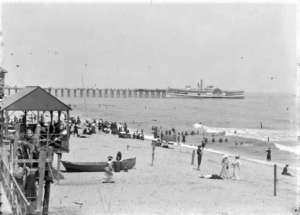 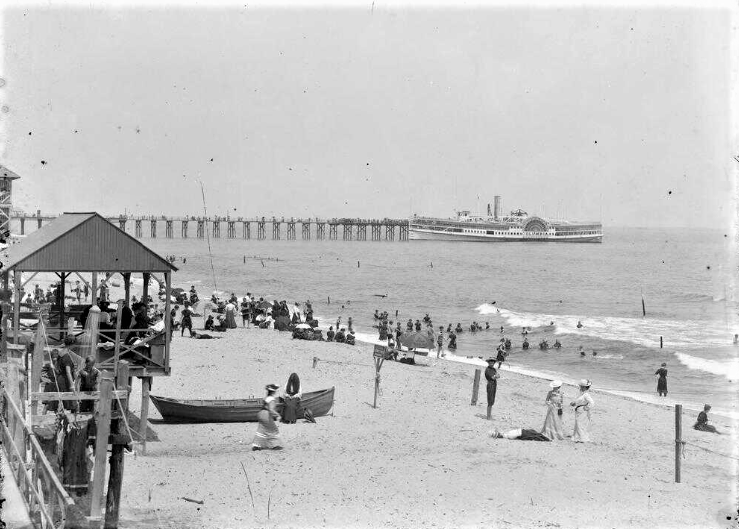 Long Branch pier, late 1800s. 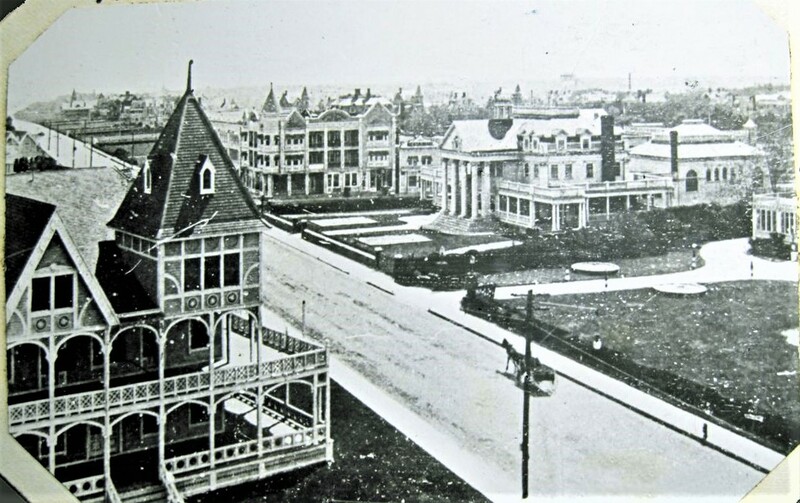 View from Brighton and Ocean Avenues, early 1900s. 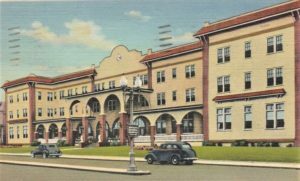 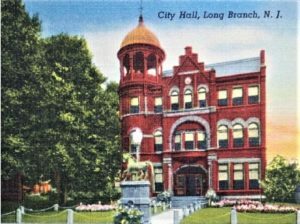 Old Long Branch City Hall, 1940s. 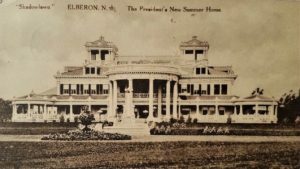 Aladdin’s Palace in Elberon, early 1900s. 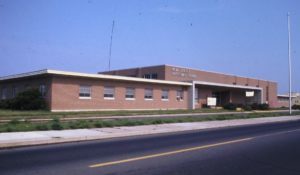 Long Branch High School, 1950s. 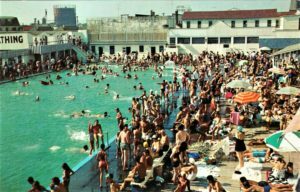 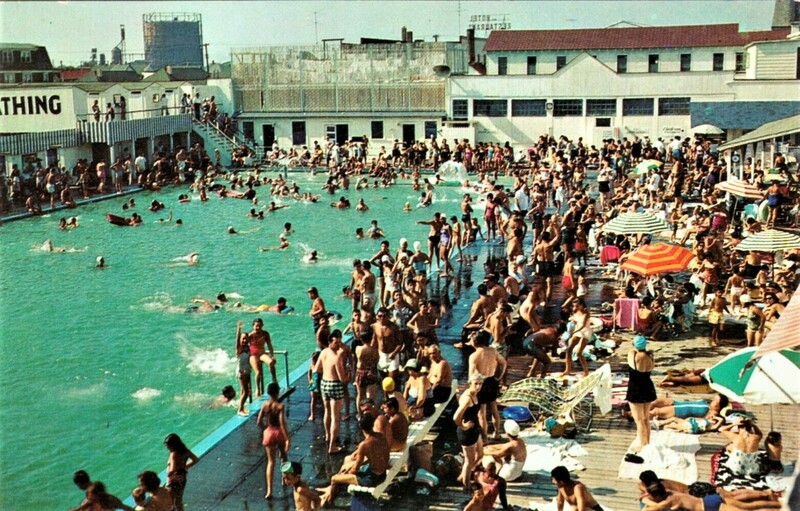 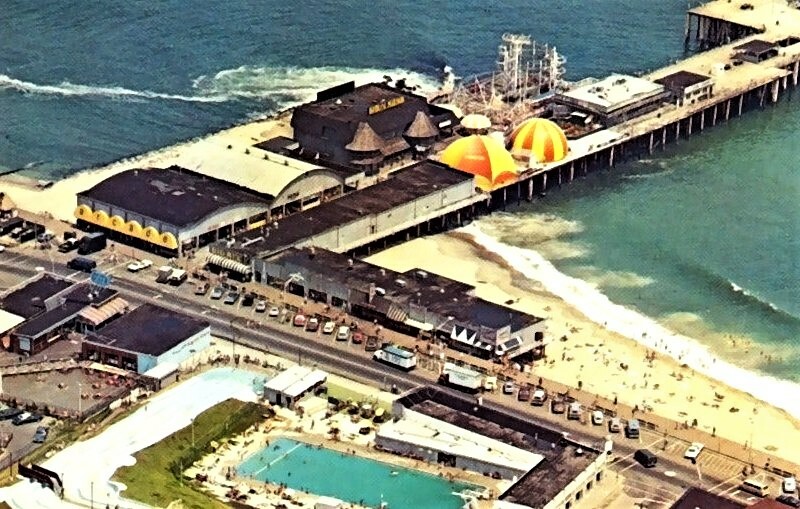 Long Branch pier area, 1960s. 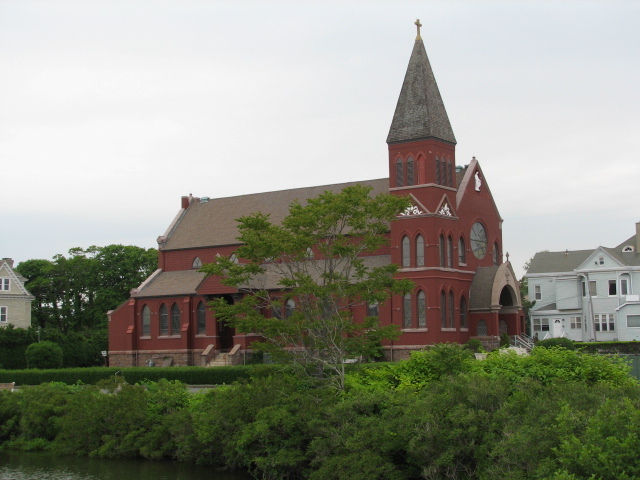 Church of the Presidents on Ocean Avenue, 2000s. 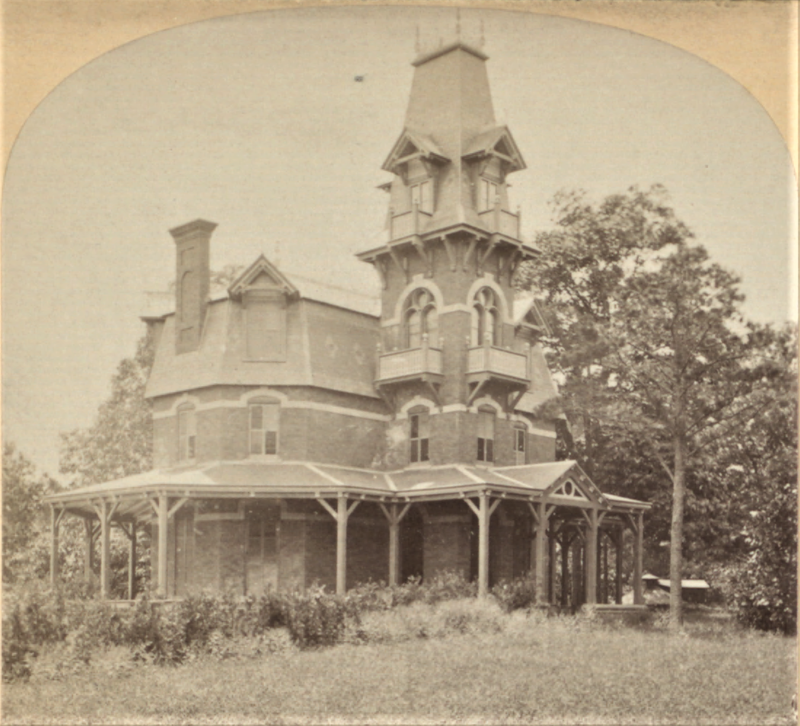 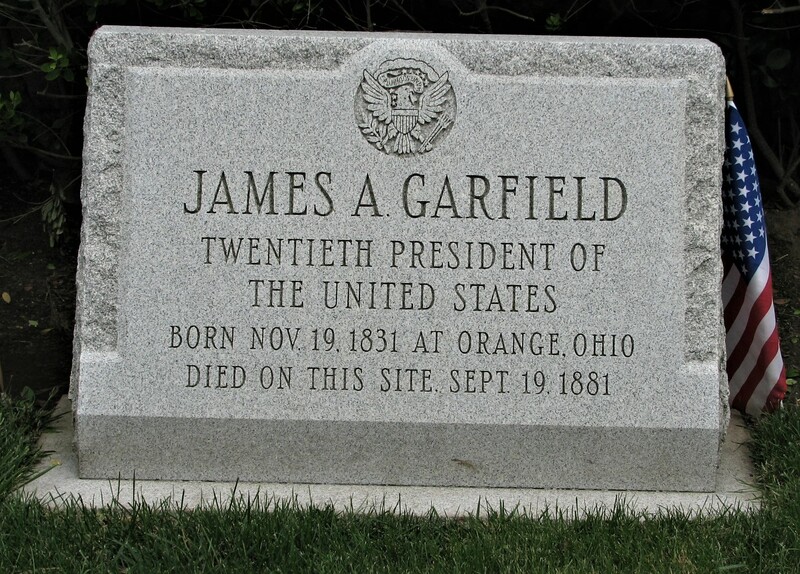 President James Garfield’s cottage, 1881. 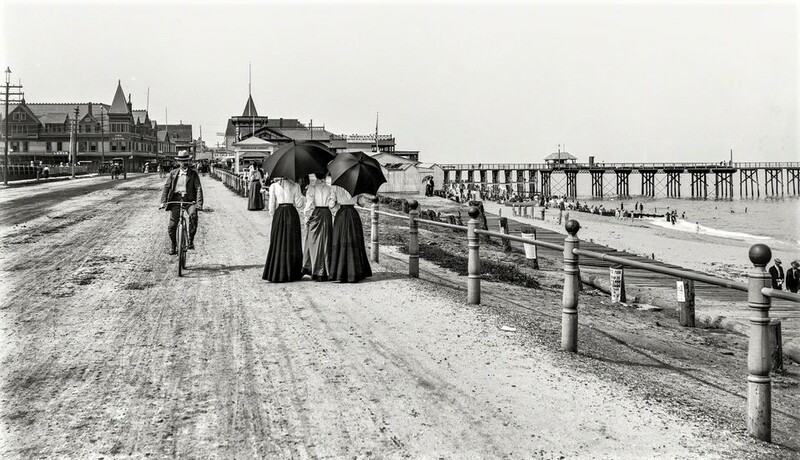 Ocean Avenue in Elberon, late 1800s. 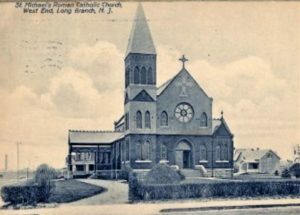 St. Michael’s Church in West End, Early 1900s. 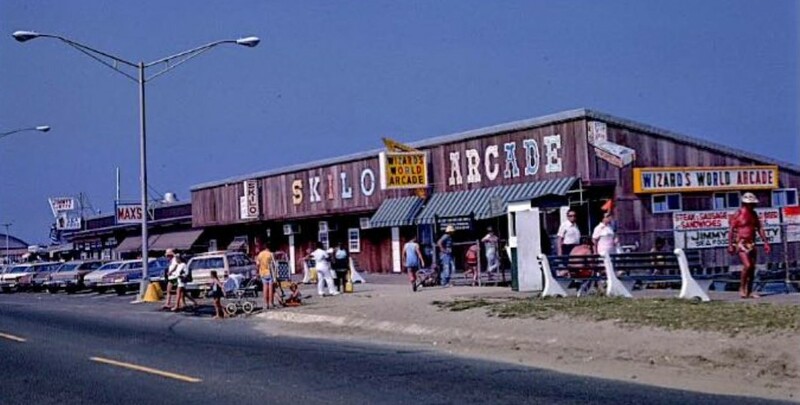 Long Branch boardwalk arcade, 1970s. 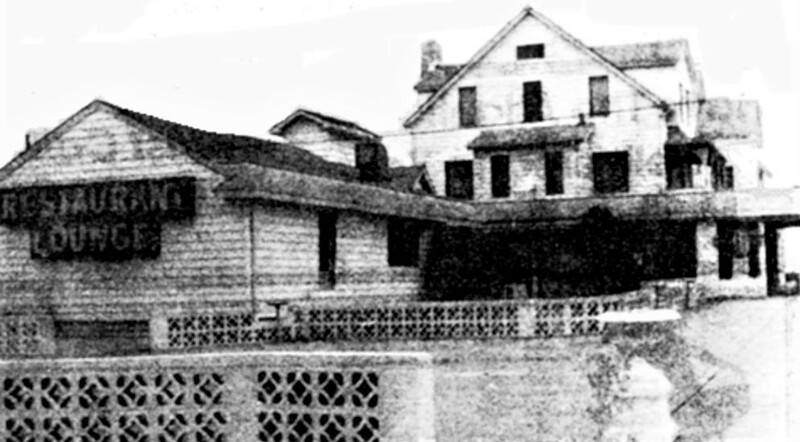 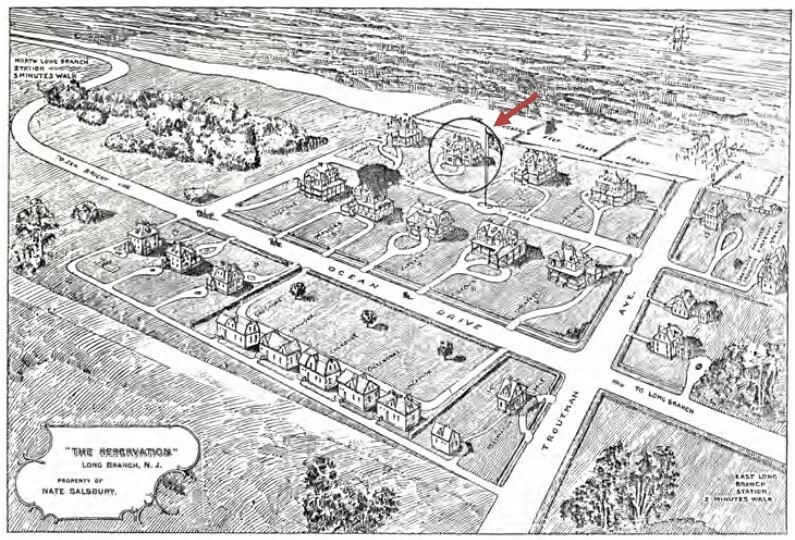 The “Reservation” property in North Long Branch, early 1900s. 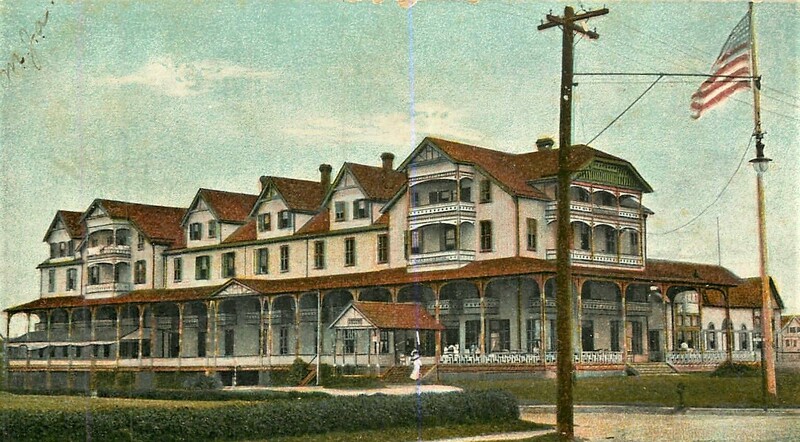 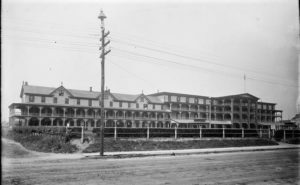 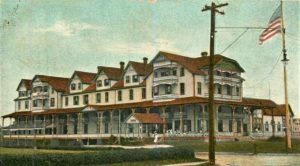 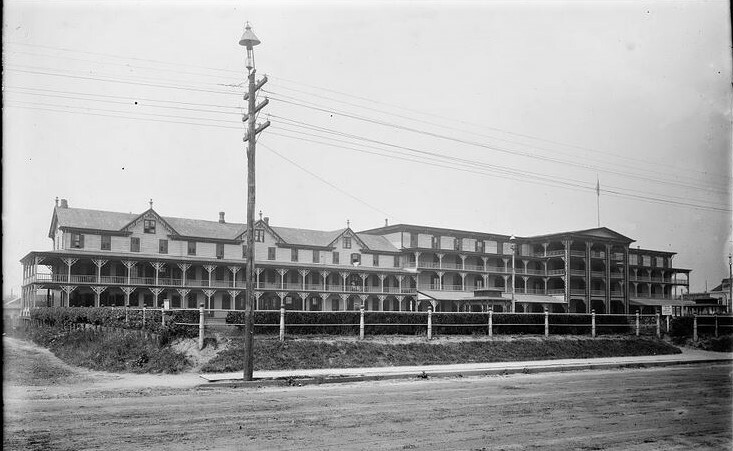 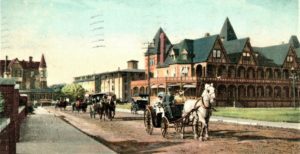 West End Hotel on Ocean Avenue, 1900. 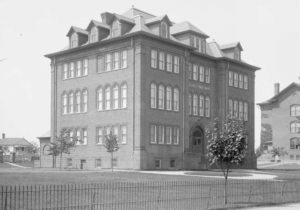 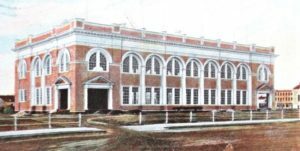 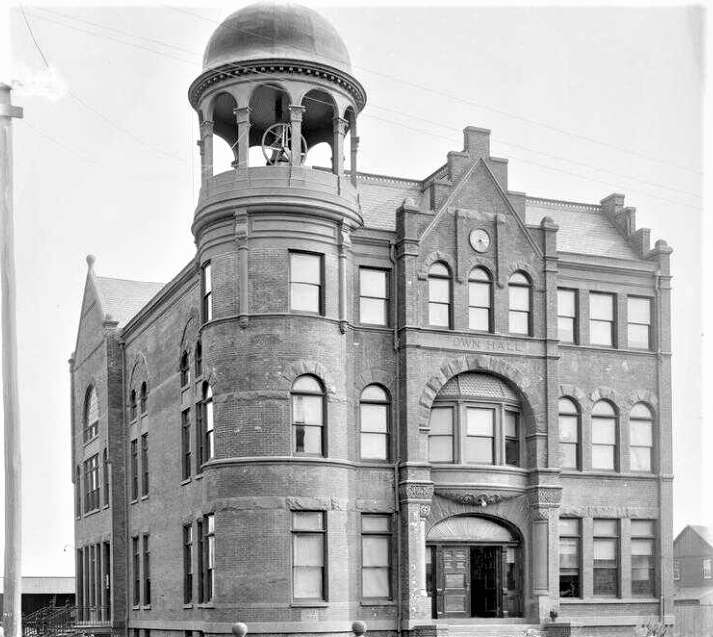 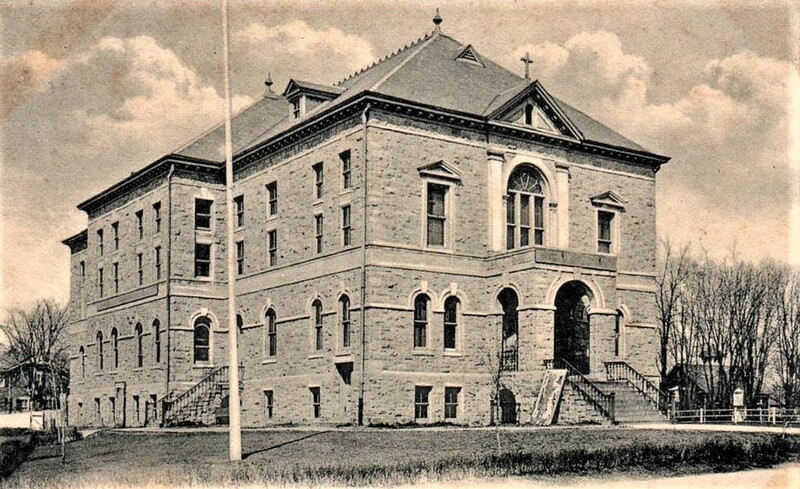 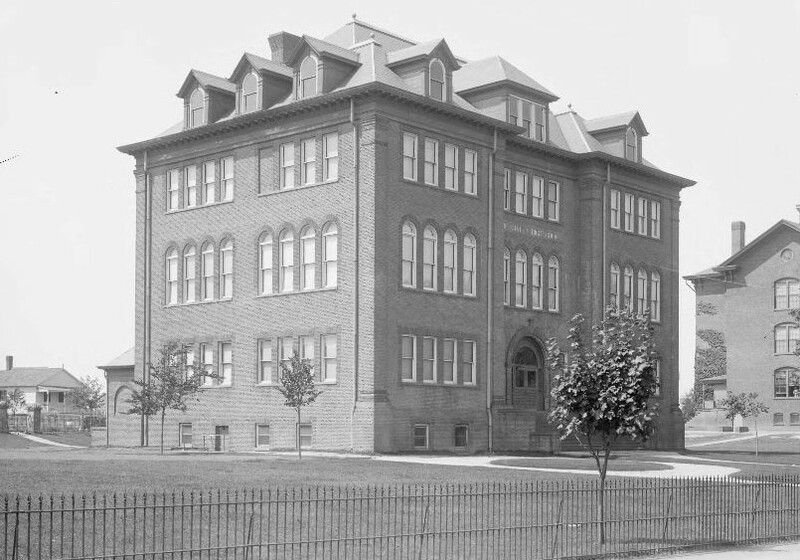 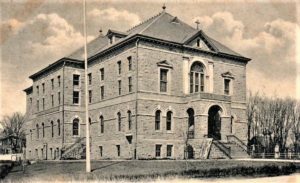 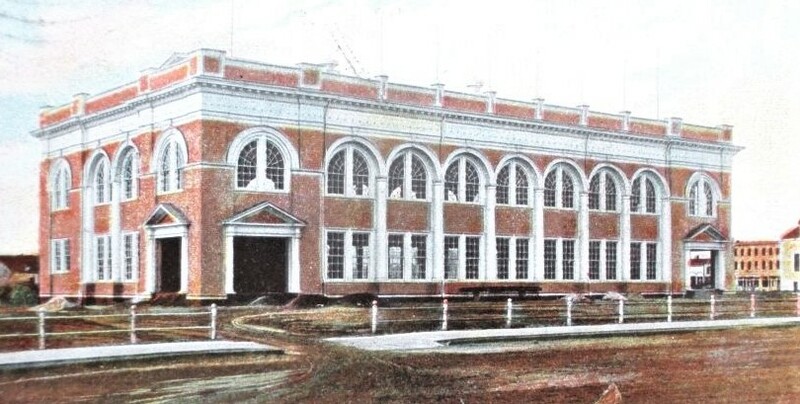 Chattle High School on Morris Avenue, 1905. 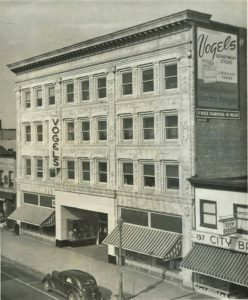 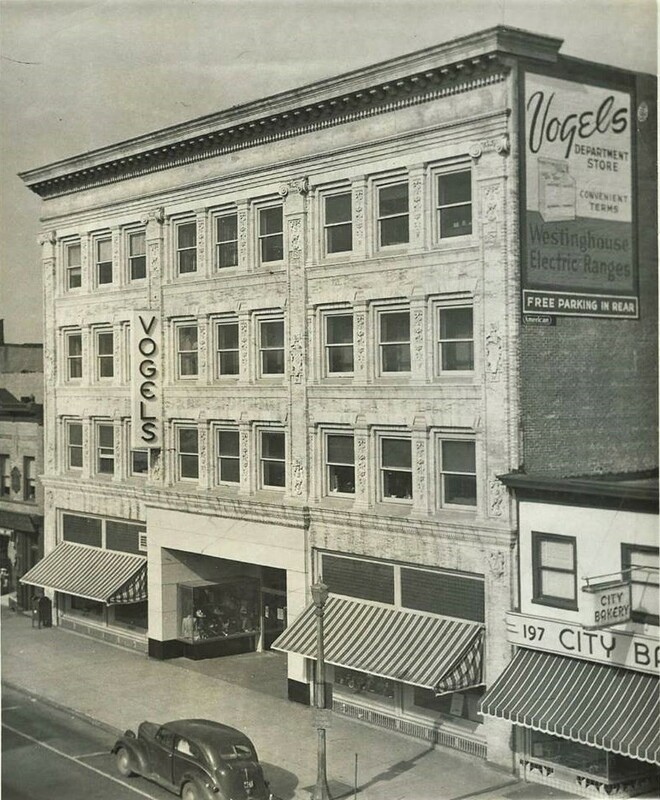 Vogel’s Department Store on Broadway, 1940s. 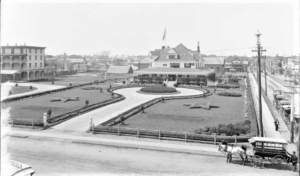 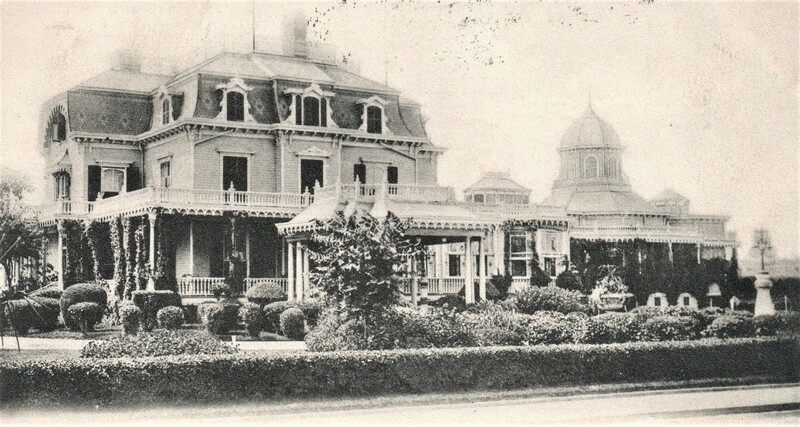 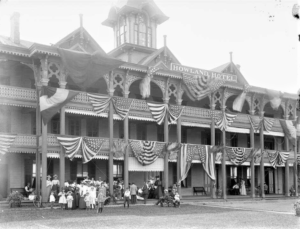 Ocean House hotel on Ocean Avenue, 1900. 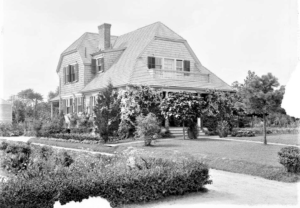 Edwin Booth cottage, late 1800s. President U.S. Grant cottage, 1933. 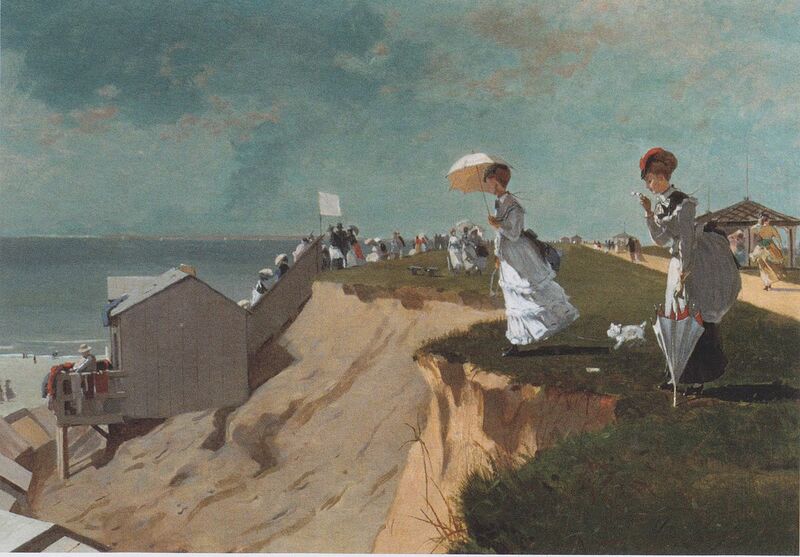 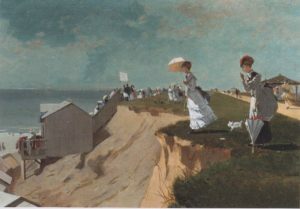 “The Bluffs” at Long Branch by Winslow Homer, 1869. 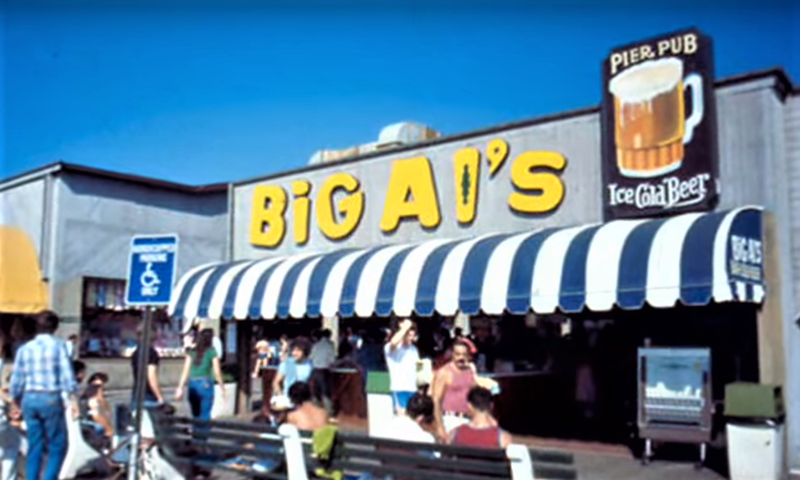 Big Al’s on the boardwalk, 1980s. 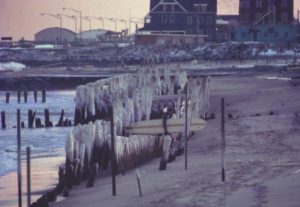 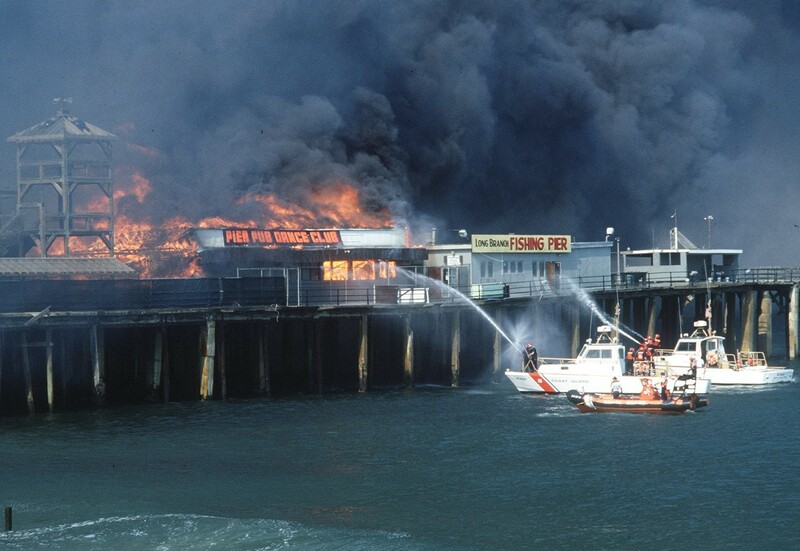 Long Branch Pier fire, 1987. 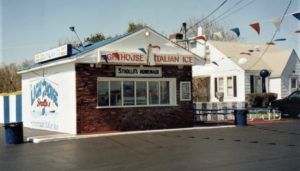 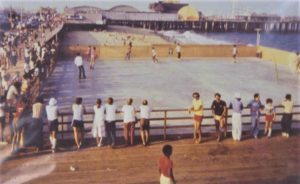 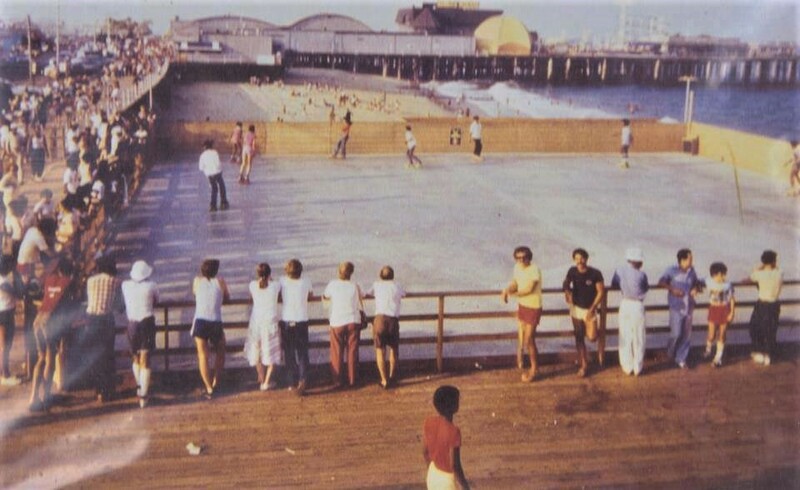 Roller skating at Long Branch Pier, 1980s. 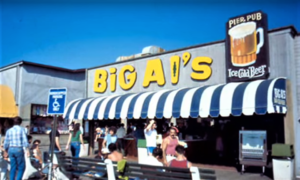 Ad for Blue Dolphin Pub, 1980s. 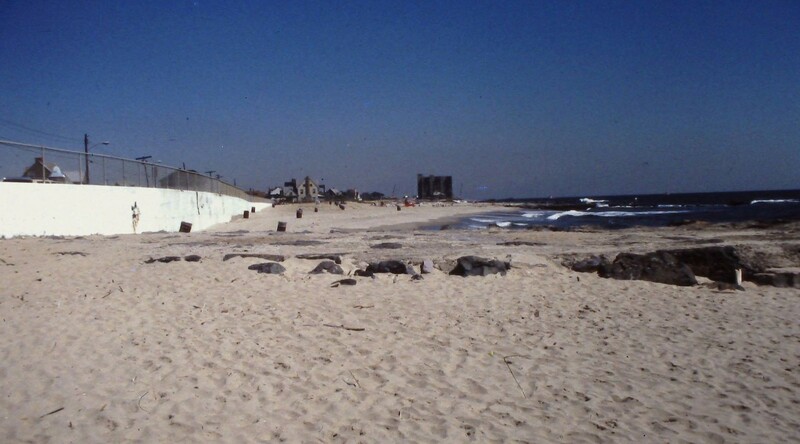 North End beach near MB border, 1980s. 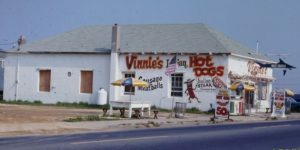 Vinnie’s Hot Dogs on old Ocean Avenue, 1980s. 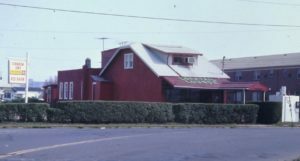 Chi Chi’s Red Barn on old Ocean Avenue, 1980s. 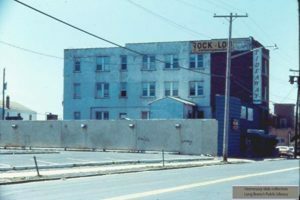 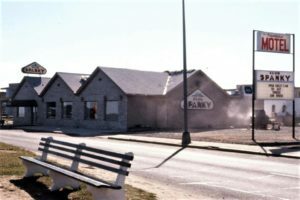 Tideaway Bar on old Ocean Avenue, 1980s. 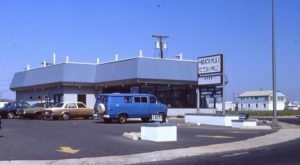 Mocean’s Surf Shop on old Ocean Avenue, 1980s. 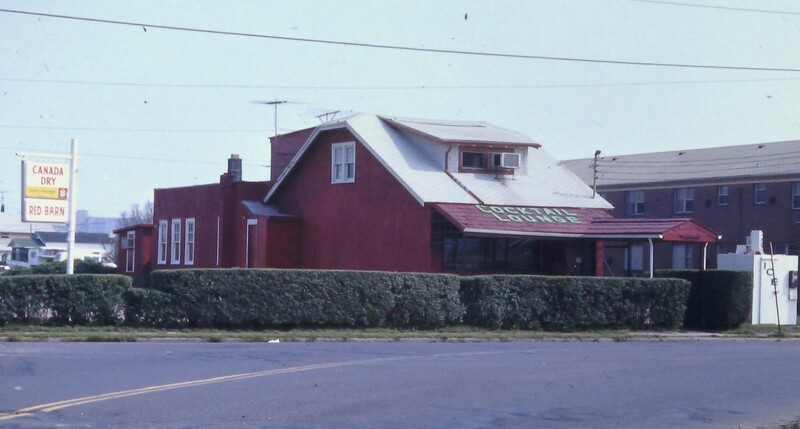 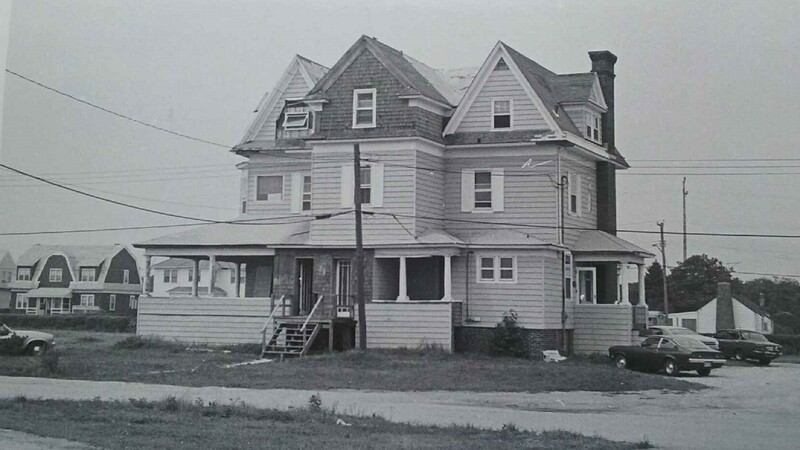 Beach Plum restaurant on old Ocean Avenue, 1980s. 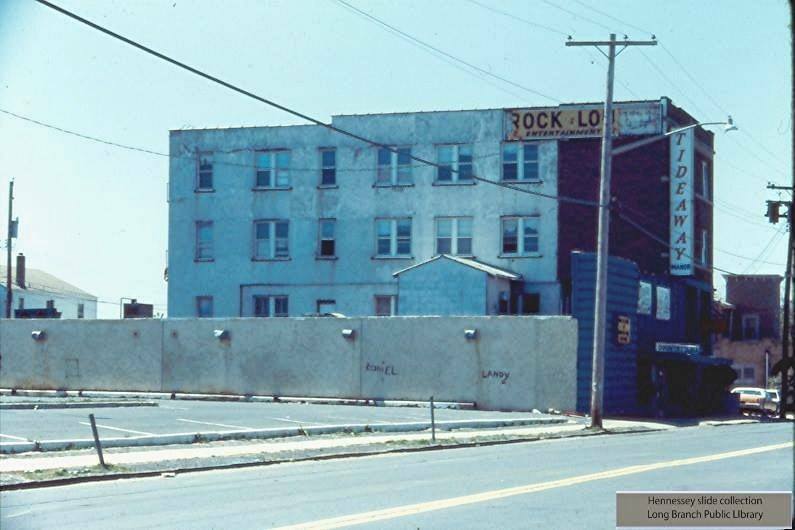 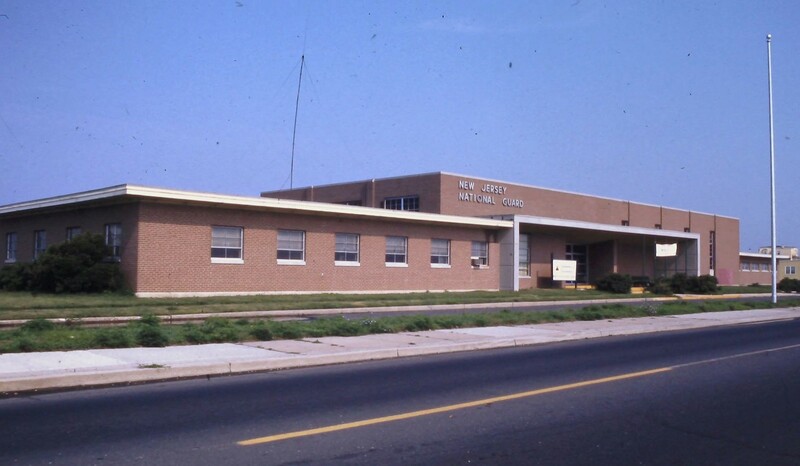 NJ National Guard armory on old Ocean Avenue, 1980s. 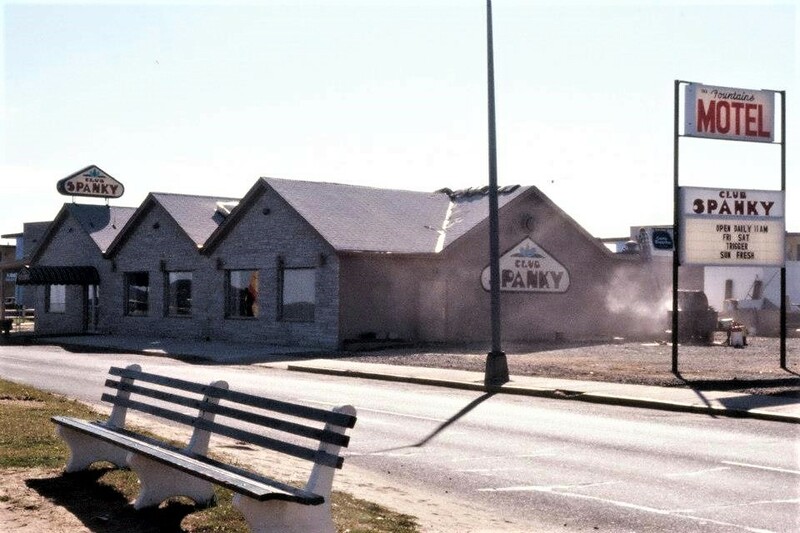 Club Spanky on old Ocean Avenue, 1980s. 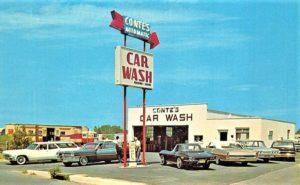 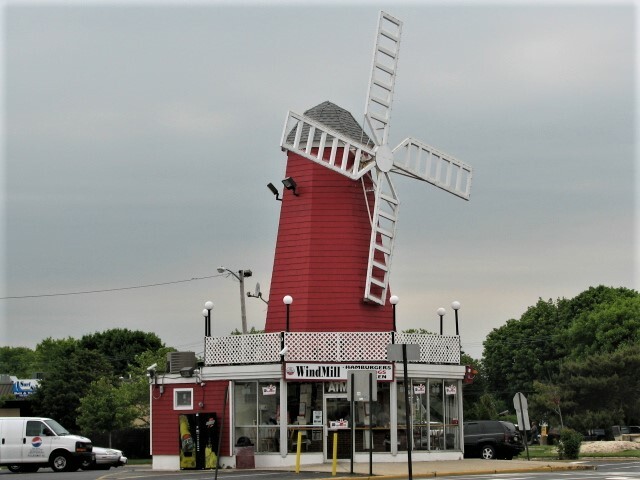 Great pictures — especially of my memories of going and working at Kids World and hanging at Beach Plum. 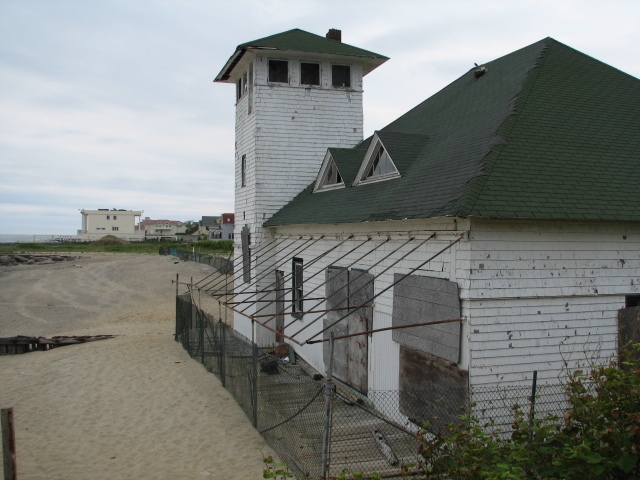 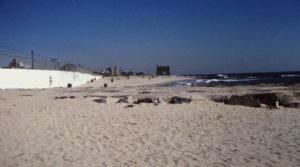 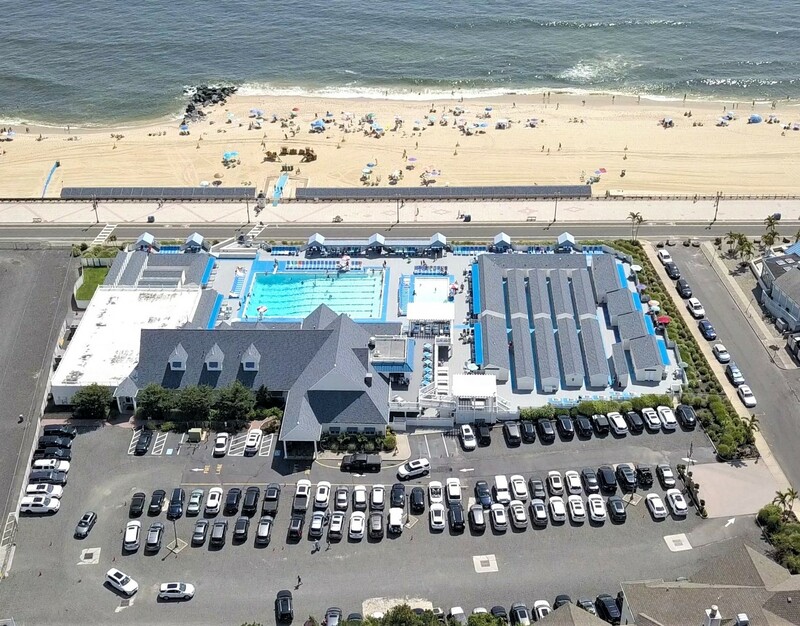 Previous story Monmouth Beach: Did You Know?